Started with the passion of serving and the love for eating authentic array of Mughlai Cuisines, Mughalnama was born to serve and cater authentic Mughlai food prepared by experienced and award-winning chefs and khansamas from the arena of Mughlai culture. 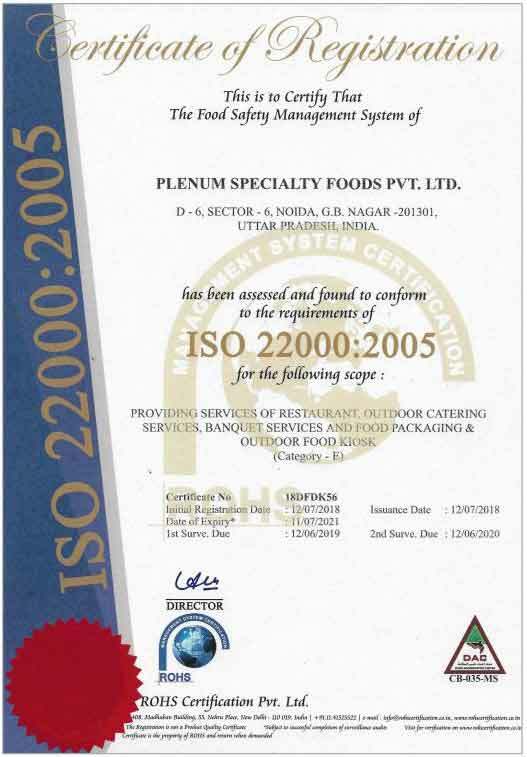 Mughalnama a luxury catering service from the house of Plenum Specialty Foods Pvt. Ltd., believes in meeting the parameters, expectations & tastes of its esteemed clients from different sectors. From social gatherings to corporate events, Mughalnama promises high class, innovative, hygienic, lavish and presentable catering set ups for 50 to 2000 people. We have got the privilege of catering to the bureaucrats and government officials, corporate organizations, public sectors and also to individual clients residing in the premium locations in Delhi NCR. Mughalnama is one of its kind boutique catering company which endevours to deliver tastes and recipes that reflects the original tastes of the Mughal, Awadhi, Persian and Islamic era. Mastering the art of recreating some of the most time tasted recipes, our specially curated menu has been designed to complement your special occasion. Ourteam of award-winning master chefs skillfully inculcate a unique blend of hand selected spices to recreate the aromatic magic of authentic Mughlai cuisines. Our rich flavours, melt-in-the-mouth textures and stunning displays will amalgamate to make your event a memorable one. Our passion for serving authentic food will undoubtedly give your guests a royal experience. 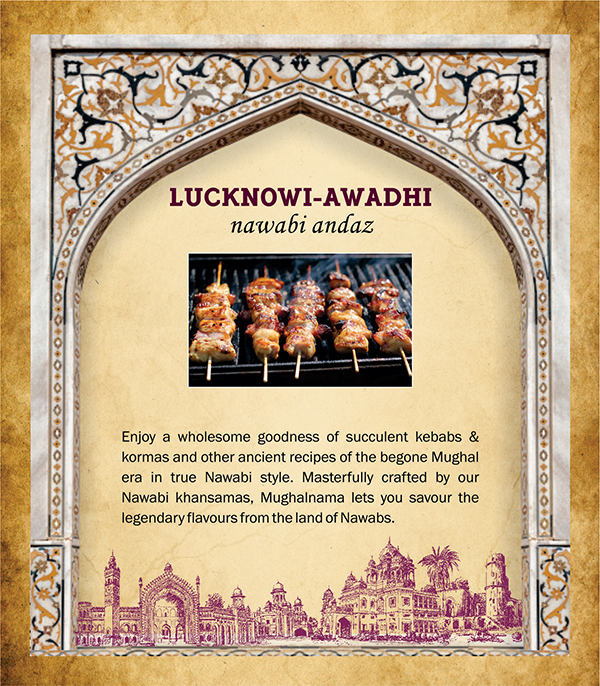 The exclusive cuisines include rich Kashmiri preparations, original flavours from PuraniDilli, lavish Hyderabadi delicacies and tasteful Lucknawi fare in true Nawabi style. Mughalnama once again welcomes you and your guests to explore the Royal Feast. Our Team : Our expert team of chefs and khanshamas guided by our inspiring management have several years of expertise in recreating the authentic flavours of the Mughal era. 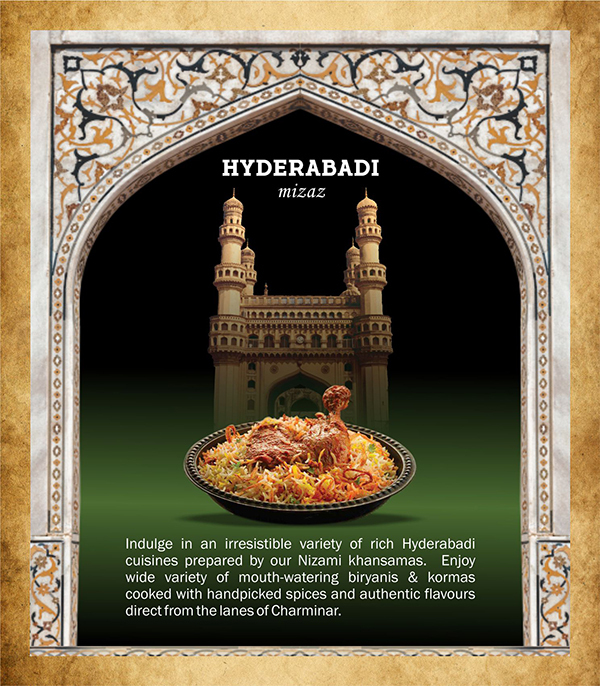 Excellence : Delicacies from the kitchens of Mughalnama are known for their taste & authenticity. Mughalnama uses premium quality home made spices along with world class technologies, processes & systems to bring out taste that linger forever. Sustainability : Mughalnama is committed to surpass your every expectation with experience in successfully catering to leading list of clientele. Our team of professional managers, servers, chefs and khasamas together ensure your event is handled with the same level of precision and professionalism. Hygiene : We ensure hygiene standards at the highest possible level. 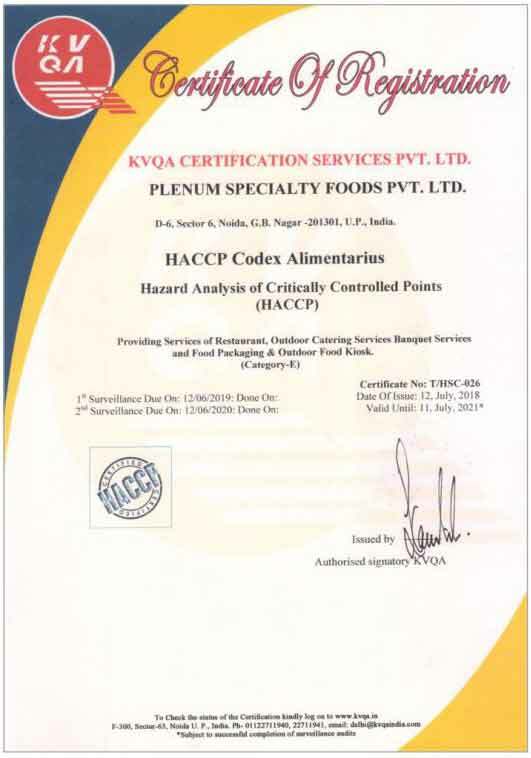 All incoming and outgoing foodstuffs are managed within strict process with close monitoring of temperature changes. 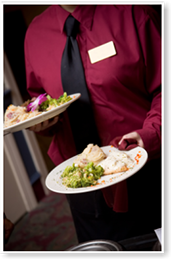 Staffs are trained and adhere to the proper hygiene while handling food. As a team of Mughalnama, we come from a background of authentic Mughal teachings. Inspired by the kitchens of Kings and Queens, our authentic menus and presentations have given us a name of repute. 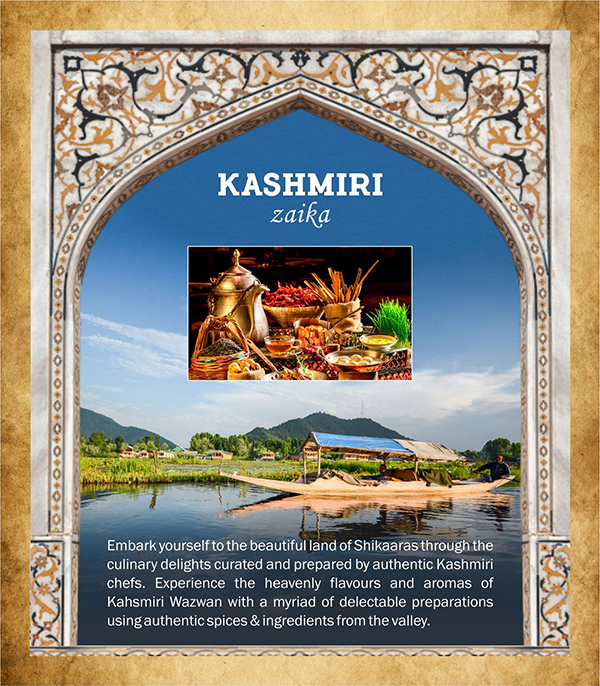 Our award wining team of master chefs skillfully inculcate a unique blend of hand selected spices to recreate the aromatic magic of authentic Mughlai cuisine. Our rich flavours, melt-in-the-mouth textures and stunning displays will amalgamate to make your event a memorable one. The driving force of Mughalnama. Hails from the robust finance industry, his sheer interest and passion towards serving superior quality, rich Mughlai food made him stand with an unparalleled approach. He has been thriving to make the brand, one of the best in the category. 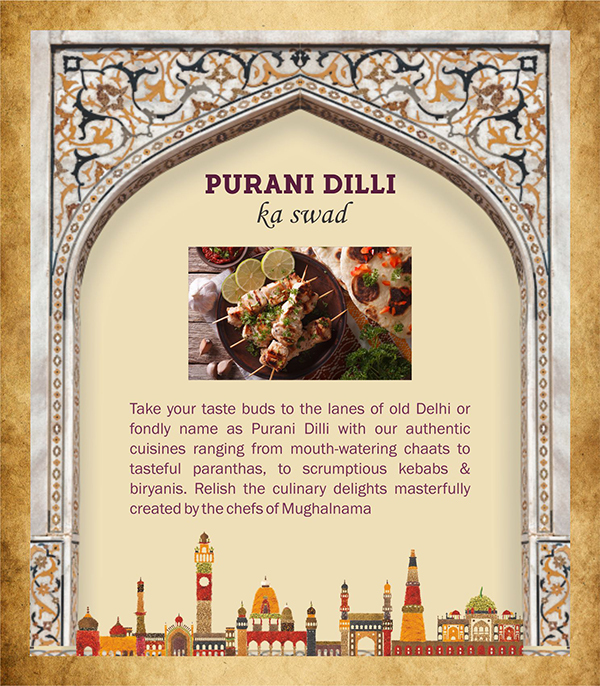 With countless talents & interests, he comes a decent way to enhance the Mughlai taste buds across the country. A young passionate and enterprising individual with years of experience in strategical planning, execution and mutual client engagements. Her plans work best for our clients before and after the execution of any event. She is an integral part of the core team and a connecting thread between the overall operations to the final celebrations. Her experience knits her tight with a huge list of international and domestic corporate clients. She is a hospitality professional with a powerful edge of sales and marketing. © 2018 All rights reserved. Designed & Developed by RapidexAdvertising.